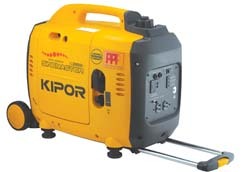 Selection Of Generators For Home and Job Site Usage. Generators are a great way to provide electricity to a remote area or in emergency situation. When electricity is needed and tradition sources are not available, these gas powered mobile units are prefect. Designed for different needs of electricity from small emergency power to providing power for a large work site with large power needs. Generator are great for camping too. When you want some power to keep some of those comforts that come from electricity on your camping trip. This site carries 3 of the top manufactures of generators. They are Generac, Kipor, and PowerHouse. There are several watt output levels to choose from in the different models, to fit your requirements. Each models has a different size fuel capacity, wattage output and size. With the large generators putting out the greatest wattage. 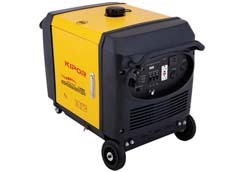 Although if your looking for a more easily portable model you will have to go with a smaller size generator. Make sure to pay attention to the design and weight of the generator. Also have a idea of what you want to power with it before you choose the one you want. Running too many things on a generator not rated to handle that much load can damage the generator of the item being powered.